Avocado is an Incredibly nutritious fruit which is neutral in taste and having buttery texture. With its neutral taste you can use it in smoothie or as a dips which is called as a guacamole or you can use this to make healthy brownie or nicecream ( healthy ice cream). 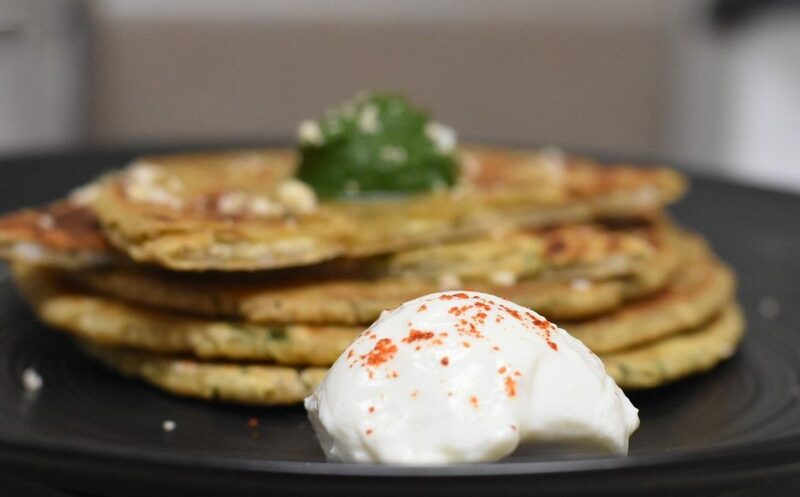 I have made Avocado paneer paratha so that you have one more way to eat this deliciously nutritious fruit more often. For making this dough you don’t require any fat because of avocado’s high fat contain. 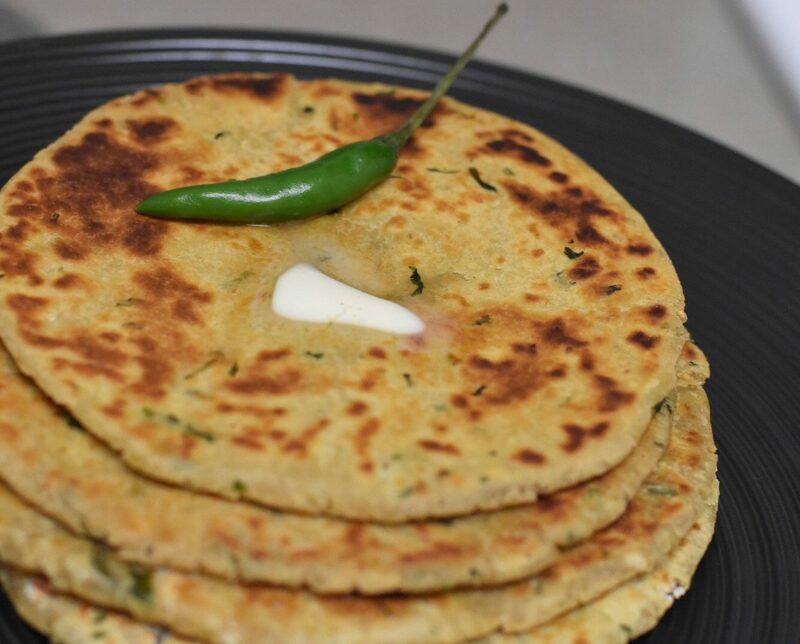 You can make this paratha without any stuffing too and it will be so soft. Paneer in the paratha will increase the protein value of the dish. 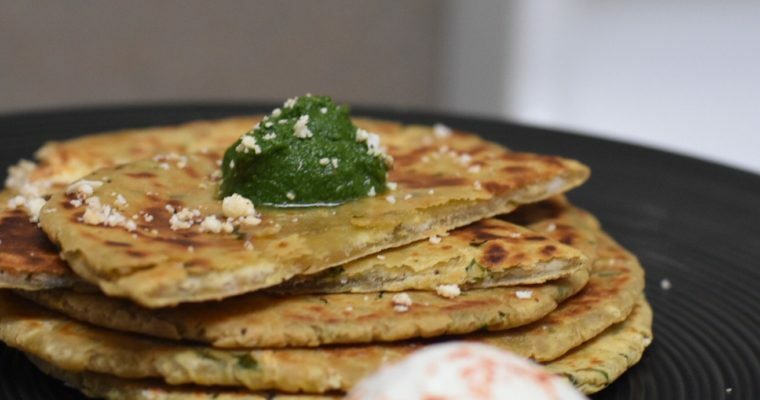 You can enjoy this paratha as a breakfast or as a main course and it will give you long lasting energy as well as yummy goodness of nutrients. 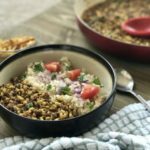 Serve it with the dollop of yogurt or with cilantro mint chutney or with your favorite condiment. 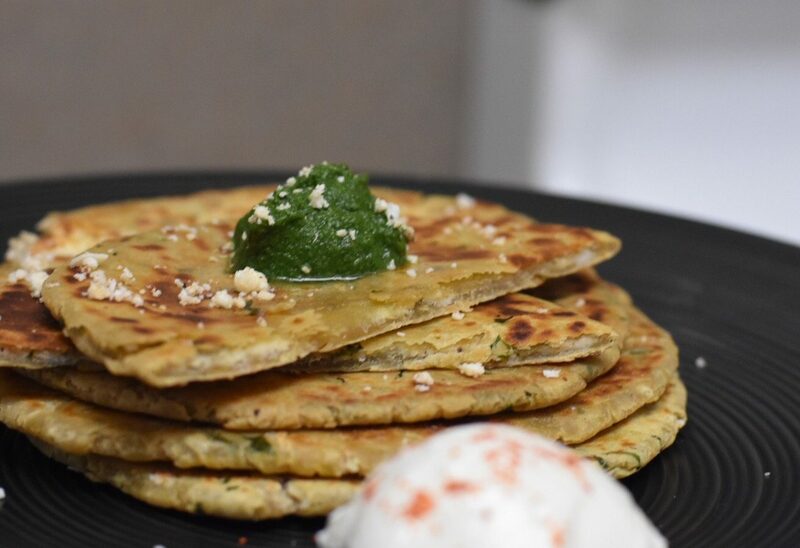 Avocado paratha stuffed with seasoned crumbled paneer. Wash and cut ripe and soft avocado in half. With the use of a knife gently take the seed out from avocado. 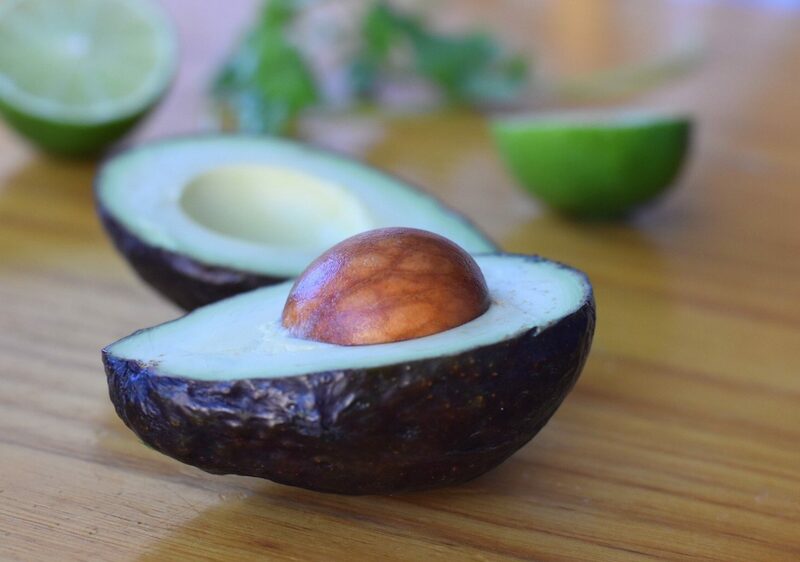 Take the flesh of avocado with the use of a spoon in a big bowl. Mash it with the fork. Add lime juice, salt, chili flakes, finely chopped cilantro, finely chopped pickled jalapenos and mix it well. 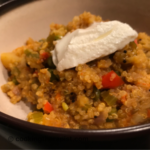 You can add coarsely grounded roasted jeera powder (optional) to it. 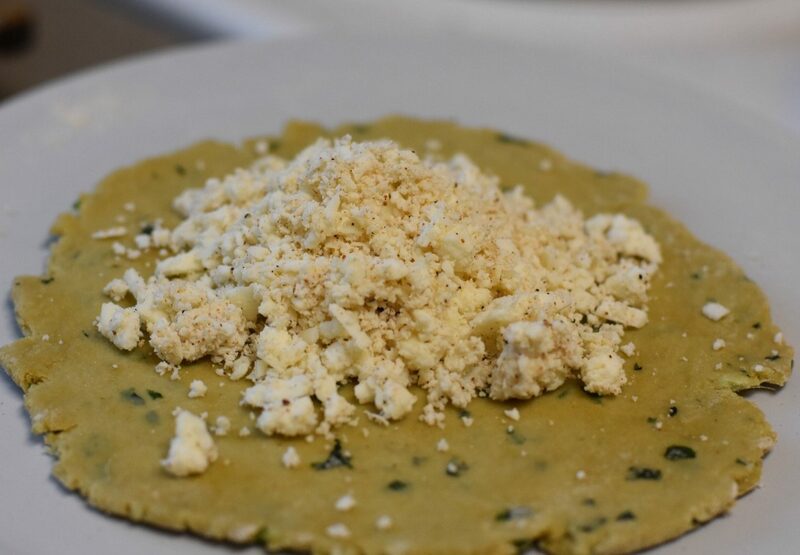 Add wheat flour and incorporate flour well into the avocado mixture. If you need add lil bit of water to combine flour together and make semi soft dough like paratha (tortilla). Let it rest for 15- 20 minutes. Meanwhile shred paneer and seasoned it with salt and pepper or bit of garam masala. Now divide the dough in a equal size ball. Take one ball and roll it medium thick 3 to 4 inch in size. Add paneer stuffing and seal it. Heat tawa on medium flame. With the help of a dusting flour roll the paratha medium thick 6-7 inch long. Once tawa is properly hot add paratha to it. Once you will see light bubbles or light brown spot on the back side of paratha then flip it and let it cook on another side for 2-3 mins. Brush paratha with oil and with the help of spatula press it and flip it and cook it properly. Make remaining paratha with the same method. With the help of pizza cutter cut the paratha in 4 pieces. Serve it hot with green chutney or with choice of your condiments. 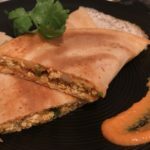 For Vegan version you can skip paneer and simply roll it and roast it. 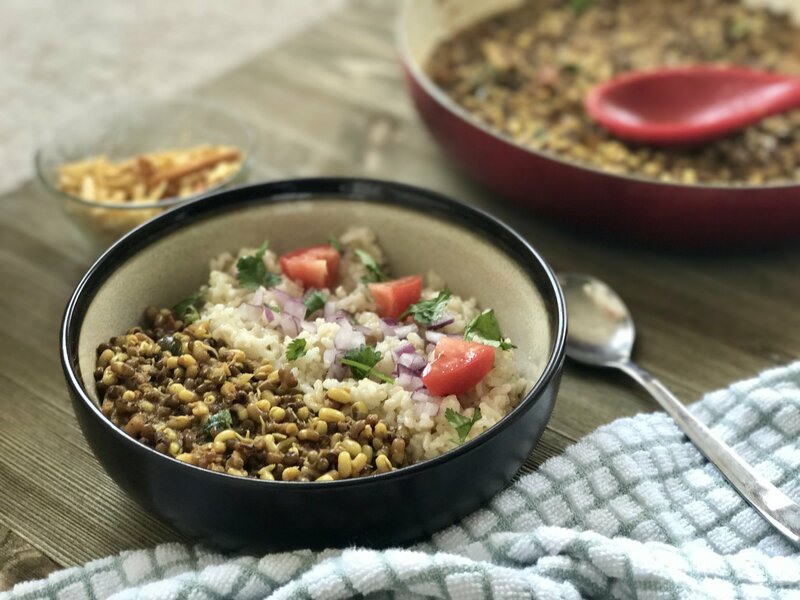 You can use very firm tofu instead of paneer. 3. Powerful antioxidant which can protect your eyes. 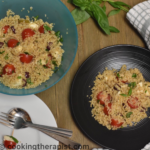 Check www.cookingtherapist.com for more recipes. You can change the language you want from the right top corner.